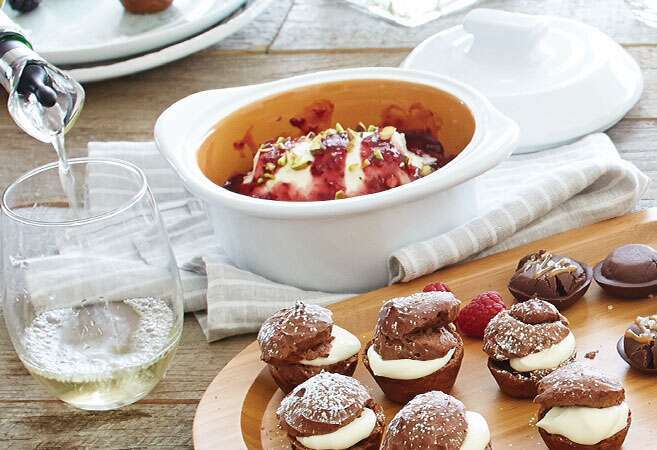 From big family parties to small get-togethers with a few friends, a little extra attention to your table elevates the occasion as much as the menu you serve. You might see elaborate tablescapes all over the internet for birthday parties, showers, and graduations. 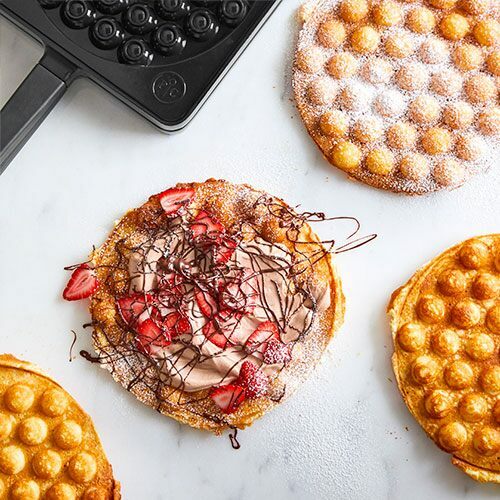 These creations can take a lot of extra time and money, but you can set out something impressive without much hassle using what you have on hand. Here are five basic design tips to consider when putting together a stunning—yet effortless—table. A color palette gives you a place to start your table design. Keep your color palette limited to two or three colors. 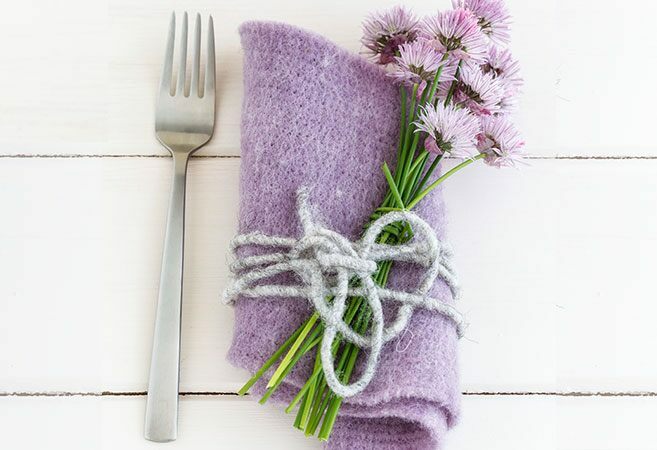 Not everything has to be matchy-matchy, but make your color theme stand out in few key places like the tablecloth or table runner, the napkins, the dishes, or the centerpiece. Here are few trending color palettes for parties. It’s elegant and sophisticated. Use more purple to dress it up, or let purple be the accent color among whites and lighter grays for a more casual spin. This is a fresh, clean combo that looks awesome on bare wood tables. Choose light, bright green tones for an airy spring look, or use darker evergreens in the fall and winter. 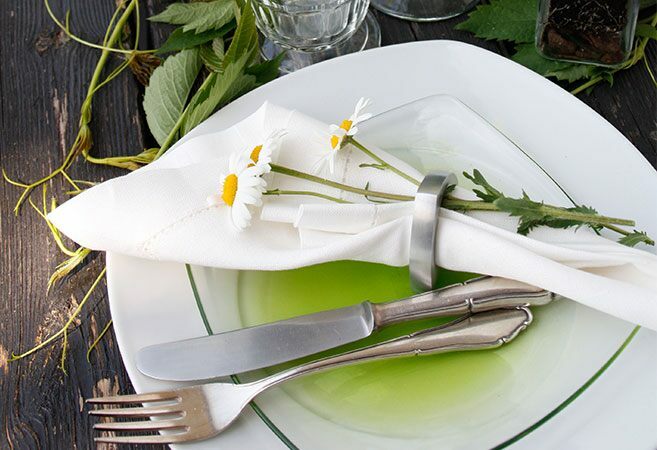 Simply add a sprig of rosemary or thyme to white napkins on a dinner plate, and you’re off to a perfect start. 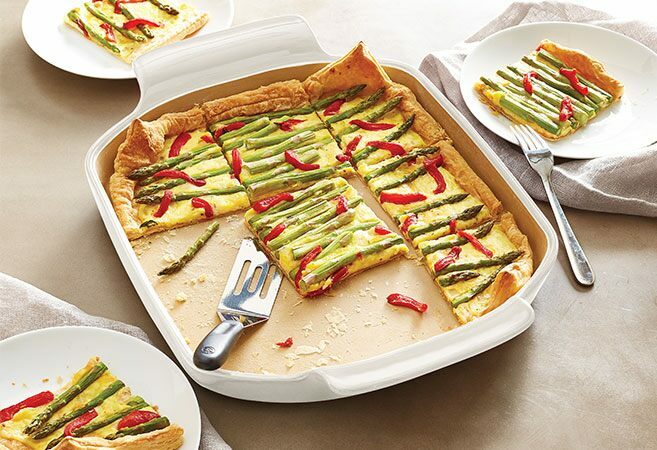 This playful, cheeky palette is ideal for spring and summer parties, especially outdoor events. The soft, neutral grays keep pops of sunny yellow from becoming too overwhelming. An affordable way to add yellow to your table décor is with lemons in the centerpieces or nested on plates as place cards. It’s popular to see lots of flowers spilling out of different sized vases to create levels of color and texture. The good news—you don’t need to invest in fancy vases to get this look. 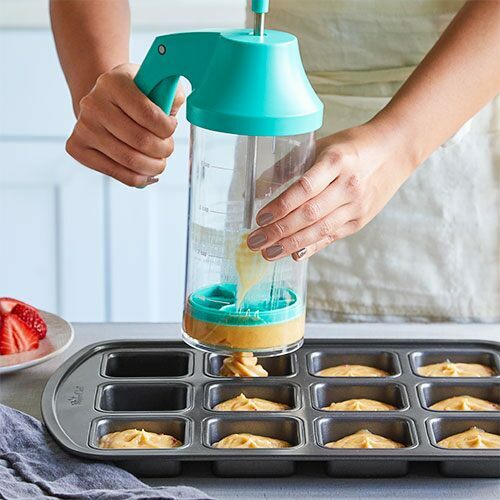 Here are three ways to use items you probably already have in your kitchen. 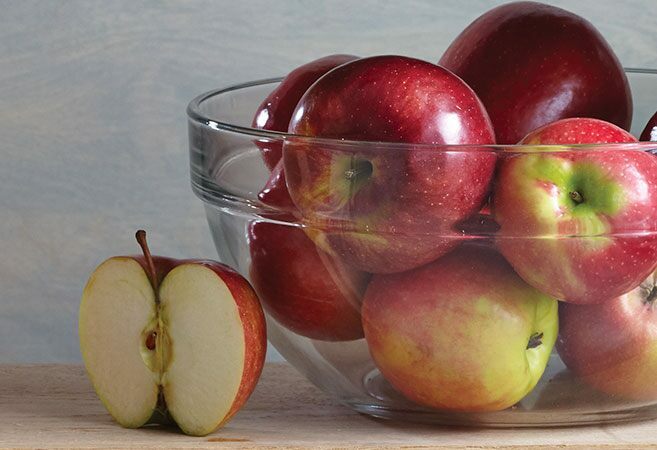 Fill them with bright red apple, citrus, or fill them with water and float a few flowers on the surface. 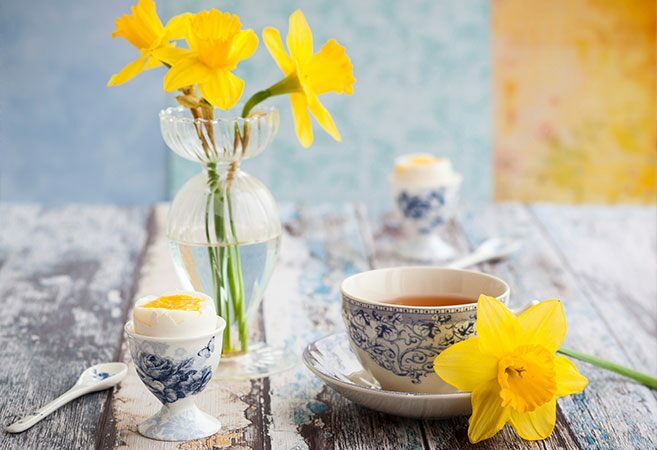 Smaller Prep Bowls can hold a single candle or a few flower buds for variation on the table. They come in all shapes, sizes, and colors. A collection of mason jars on a table provides a homespun, relaxed atmosphere. You can dress them down by wrapping them with twine and filling them with lavender. 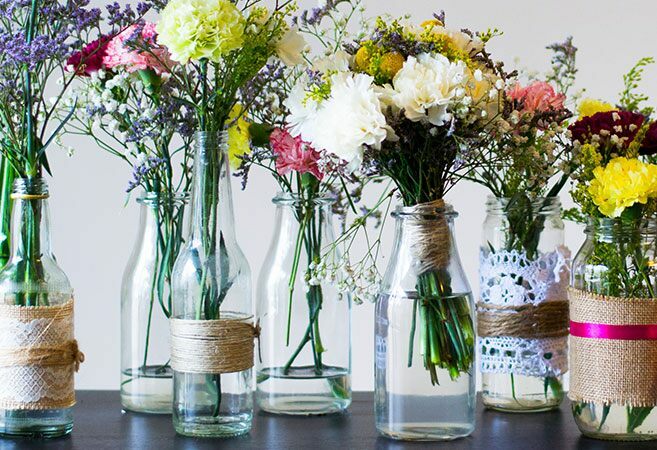 Dress up mason jars by wrapping them in paper doilies and ribbon. Set aside a few bottles from your previous party and peel off the labels. Then fill them with thin branches, eucalyptus, baby’s breath, or other affordable greenery. 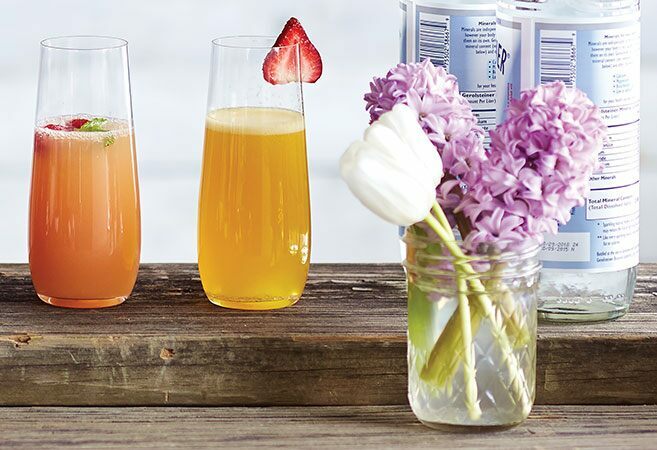 These types of arrangements work really well at picnics and outdoor cookouts. 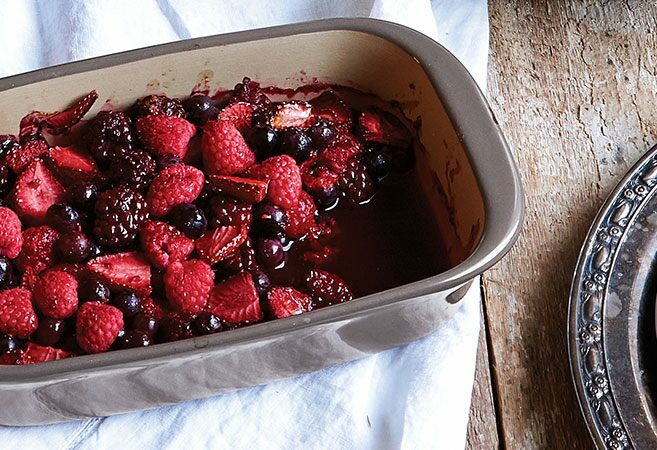 Rather than make more dishes for yourself, save time and cleanup by using cookware that looks beautiful on your table instead of transferring food from its baking dish to a serving dish. 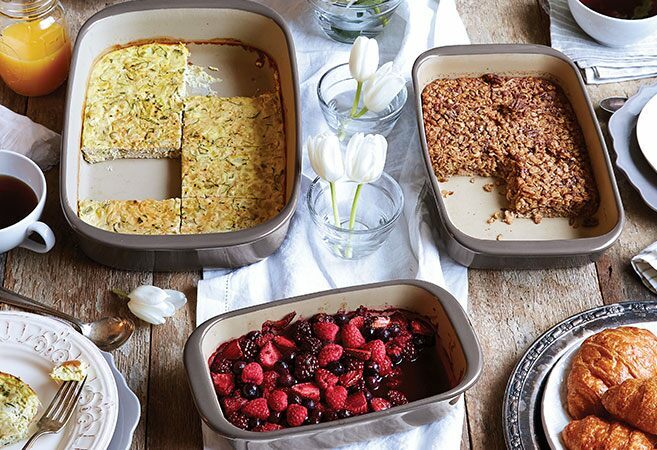 Glazed stoneware delivers beautiful results in the oven or microwave. The chic graystone glaze provides a neutral backdrop that will make colorful food look even more dramatic. This has a vibrant white glaze that can mix and match with any table decoration. 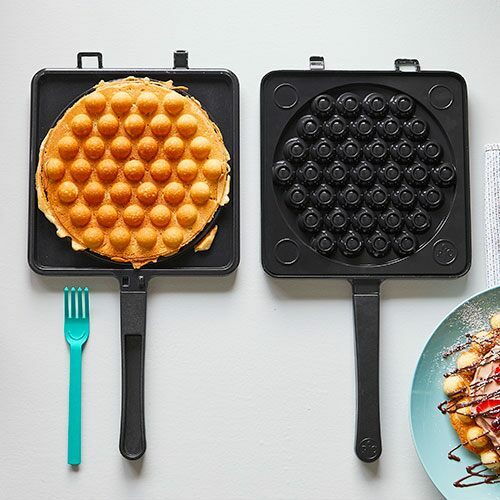 Plus, its unique shape and handle design adds extra visual appeal. 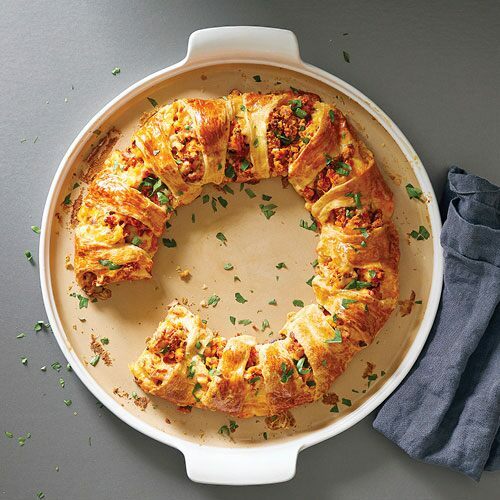 Another lovely white-glazed oven-to-table piece that lets you bring hot dips, warm brie, or cheese sauces to the table with elegant presentation. Flower arrangements are beautiful and easy ways to make a statement on a dinner table, but they can be expensive. 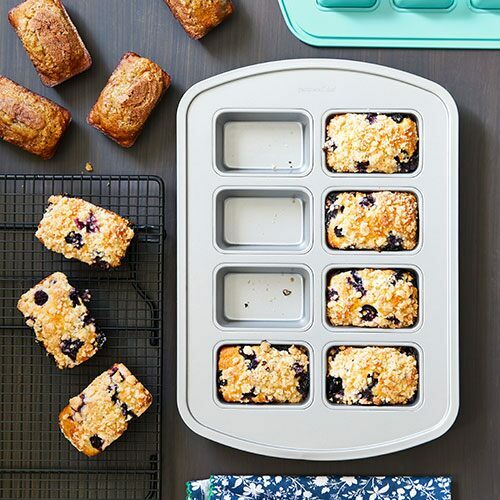 Try out one of these options for a more affordable centerpiece, made with things you might already have around the house. Nothing makes a table look more elegant than soft, glowing candles. 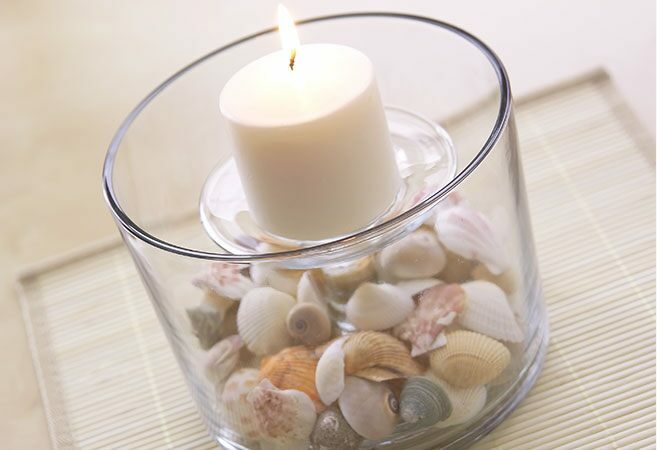 Place a large candle in a glass container surrounded by rocks, shells, sand, or even wine corks. Lots of little candles scattered around the table are equally eye-catching. 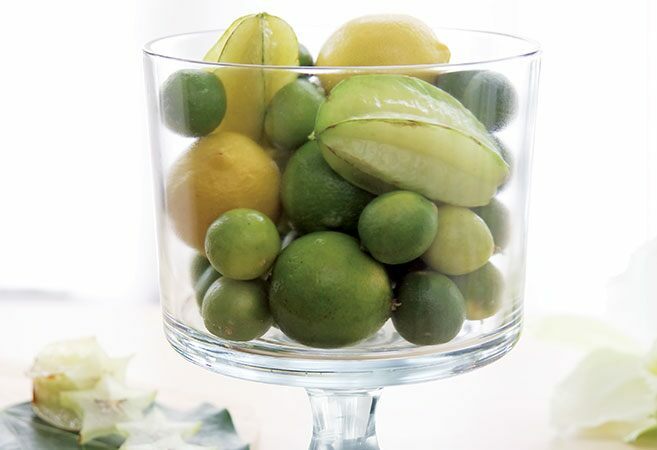 Lemons, limes, and oranges add bright pops of color to a table without breaking the budget. Stack them in tall, narrow vases or fill round, wide bowls with them. Imagine piles of purple and green artichokes, baskets of flowering purple kale with cabbages, or even mason jars full of radishes or Swiss chard. Vegetables add a bountiful, lush quality to a table. Think of it like a fresh twist on the Thanksgiving cornucopia. No matter what you put on the table, let the meal be the ultimate centerpiece. 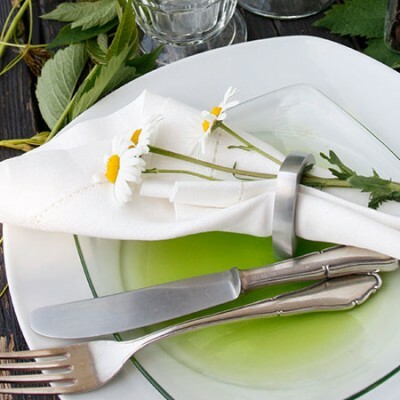 Consider how colorful your menu will be and let that dictate your table decoration. 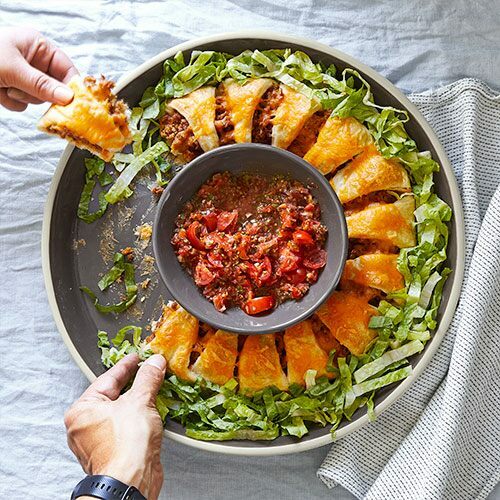 If your food choices tend to have a more neutral palette—like chicken, potatoes, or pasta, then go with colorful dishes, napkins, and centerpieces. 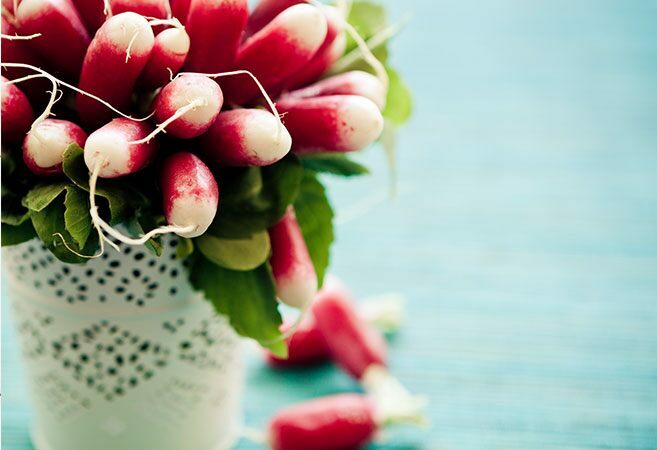 But if your table will be full of vibrant fruits and vegetables, keep your decor white or neutral with smaller pops of color and texture.